We’re breaking form for this one. Typically, this is where you’d read a detailed intro about our subject. A bit of background. A bit of context. A bit of a tease. OK, well maybe just a brief intro for this guitar guru. 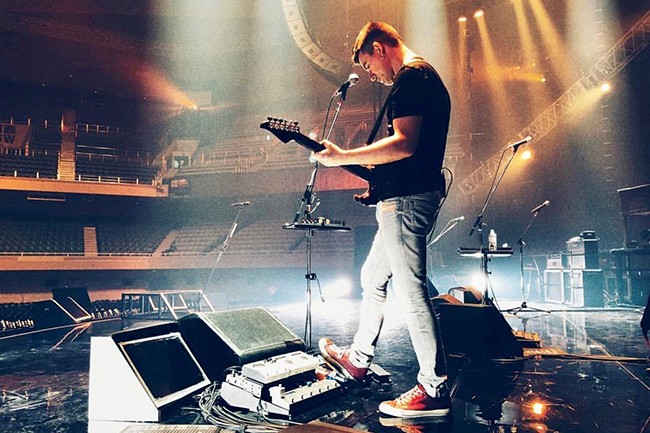 Sure, we can sit here and tell you about the amazing contributions guitarist, writer, producer and tone aficionado Pete Thorn has made on tour with artists such as Chris Cornell, Melissa Etheridge, Don Henley, and singer-songwriter, actor, and prominent Japanese icon, Tsuyoshi Nagabuchi (to name a few). But you probably know all that. We can tell you all about Pete’s composition, creation, production and broadcasting of sponsored content through his highly engaging and educational demo videos created for a who’s who of big-name gear manufacturers. 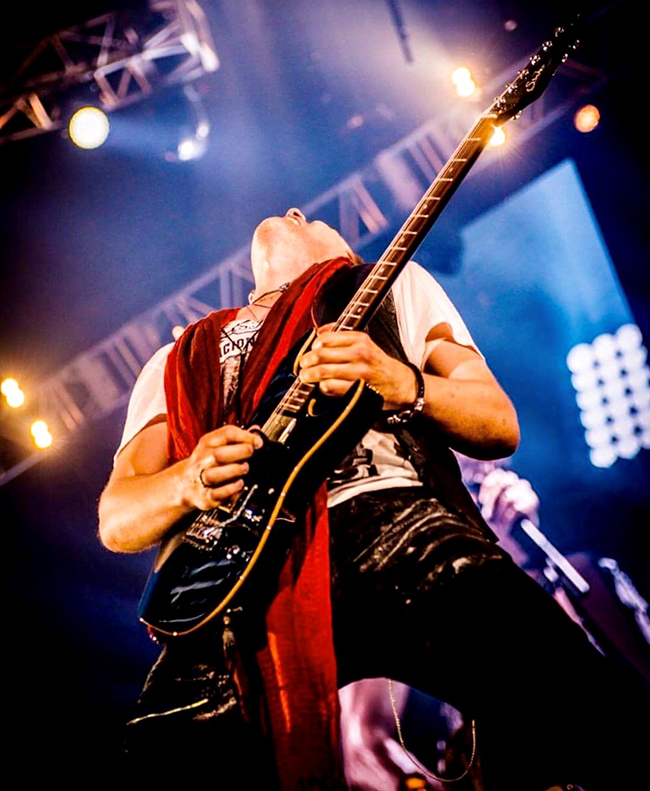 We can point to his participation in projects such as Line 6’s multi-part Artist Series #TONELIFE, a true “must see” for any Pete Thorn (or Line 6) fan. 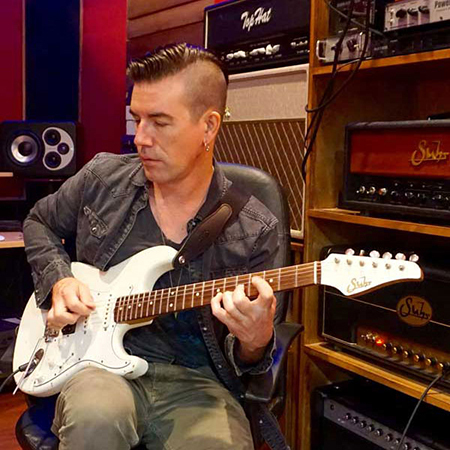 Pete Thorn, simply stated, is nothing short of a guitar-centric online content powerhouse. That’s a true achievement among today’s crowded media landscape currently choking on its own reflux of content creation platforms. And then, we can go on to discuss some of the superstars who had a significant impact on Pete's career, like Courtney Love, whose simple recommendation of Pete's talents to a major songwriter was instrumental in his professional success. And, of course, there’s gear. Lots of gear. And there’s tone. If you know even a little bit about Pete Thorn, you know this is a conversation that can last longer than a round-trip flight to Tokyo. Or we can go off on another tangent and talk about his biggest takeaways from MIT. And, how he might advise students today. After all, Pete Thorn is a natural teacher. Always generous of his time. Case-in-point? This interview. As a (online) student of Pete Thorn, I can personally speak to the consistent generosity of time, knowledge and insight—particularly toward those looking to learn from him, that Pete offers his fans. Each Sunday, Pete takes his coffee (or banana/blueberry protein shake) with hundreds of aspiring musicians from around the world via his live YouTube broadcasts, a channel that has amassed over 130,000 subscribers and is now a go-to destination for serious guitar players. Answering every question he possibly can, on every topic imaginable, with complete transparency, for two plus hours on average, Pete loves to share what he knows with others. It is in this same spirit of generosity that Pete shares with us, in fine detail, these aspects of his career and more. So much so, that a second piece was warranted. 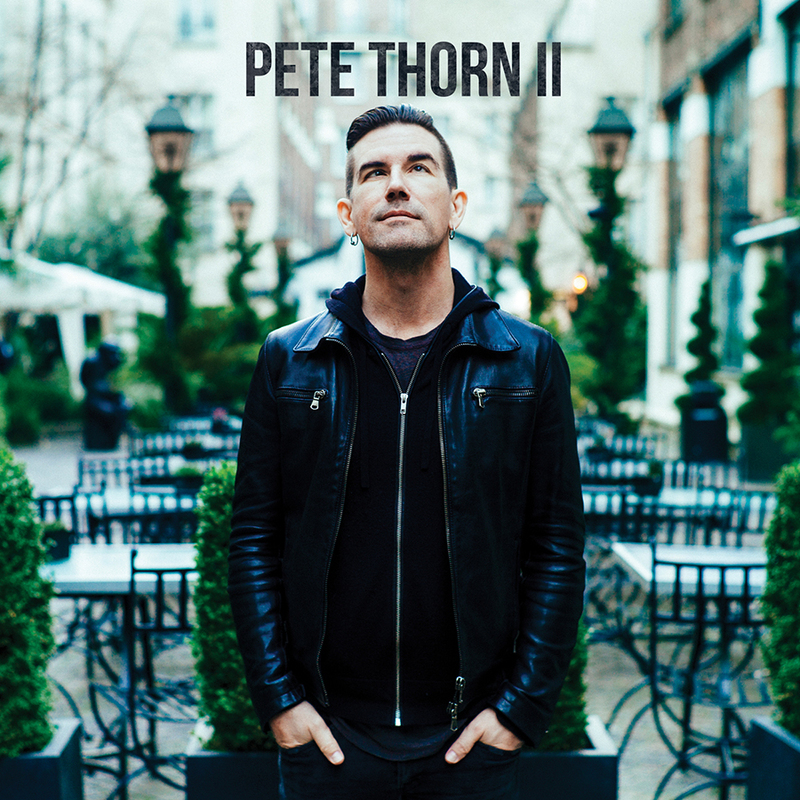 For the groomed noodler (Pete Thorn reference), we have a bonus feature: a detailed, track-by-track, examination of his recently released instrumental guitar album, Pete Thorn II. Here, Pete shares the inspiration behind the songs, a discussion of the amazingly talented lineup of musicians who contributed to the record, and, specifically, the guitars and gear used to achieve those sought-after tones. Pete was generous enough to spend so much time with us, there’s simply little more we can add. That’s why we’ve upped the BPMs on this introduction so we may bring you Pete Thorn, in his own words. MusicPlayers.com: At what point in your career did the quest for tone become significant? Pete Thorn: Right from the start. I loved great tone, I loved the sounds that a guitar was capable of making... I had good teachers too. My guitar teachers and heroes all had cool rigs and great tones. Local pals, and mentors, like my buddy Al Vermue, he had a popular cover band called Click. This is like, ‘88, ‘89. He was running a wet/dry/wet type rig with Seymour Duncan Convertible amps, G12Ms and G12H30s blended in a Hiwatt cab, etc. He was really into his tone and it sounded great. MPc: I’ve heard you say; “There is power in playing fewer notes while putting more into each and every note (you) play… It’s all about the right note, played the right way, at the right time.” I imagine this takes a lot of discipline. How have you been able to achieve such discipline? PT: My earliest influences were bands like The Who, and The Beatles. Musically, in their songs, everything happened for a reason… there wasn’t any “filler” happening. Even the guitar-based music I came to be inspired by a bit later was like this. 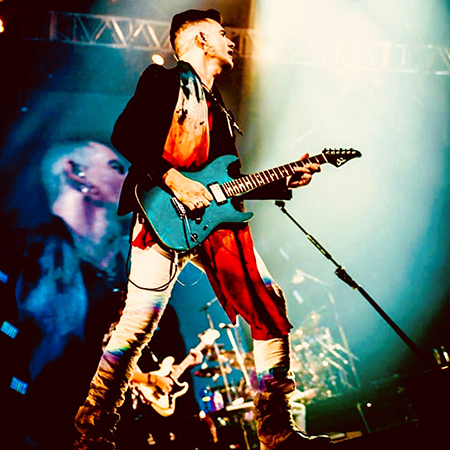 Eddie Van Halen, Vai, Satriani…. certainly SRV, Eric Johnson… every note was valid and meant something. Yngwie was like this too, if you slow down even his fastest phrases, it was all very musical, not just a lot of fast notes. And these musicians knew how to craft songs, it wasn’t just all fast, flashy licks. There’s a reason why Ah Via Musicom and Surfing With The Alien sold so well. It was the songs, the music, over the fact that it was guitar-based. So I always have that first and foremost in my mind, as a barometer. It’s songsthat matter, and keeping it musical. MPc: Some artists are more “purists” who want nothing more than a guitar, an amp, and maybe a boost or overdrive pedal. For you, how much is too much when it comes to gear? 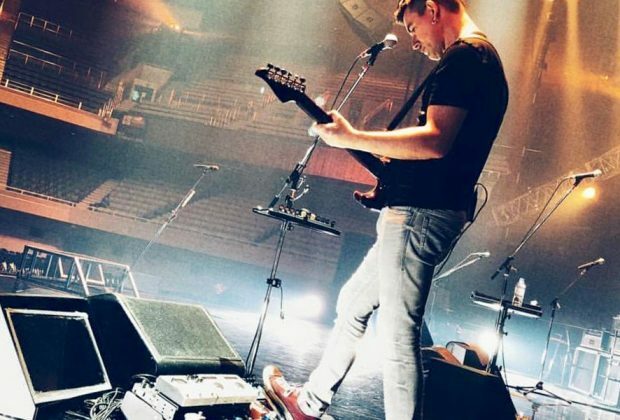 And with so many pedal options today, how can a guitarist avoid gear overload? PT: Sometimes it’s good to take a step back and realize, it’s primarily you, your hands, and heart and mind, which really make the music. The rest just helps. It’s great to wring the most out of what you have, before deciding to buy more gear! That said, it can be really fun getting a new toy or tool. It’s all about balance. MPc: In this “golden age” of effects pedals, how do you feel about rack gear? Do you still use any? PT: A little bit! I use the Line 6 Helix rack unit quite often in my studio, and I have an Axe FX II still, although the Fractal Audio AX8 sees more use, I guess, and it’s an all-in one floorboard affair. Pedals just got so powerful! MPc: Tell us about your top three go-to guitars, as well as your main go-to amps, both for stage and in the studio if you utilize a different set of tools when recording. 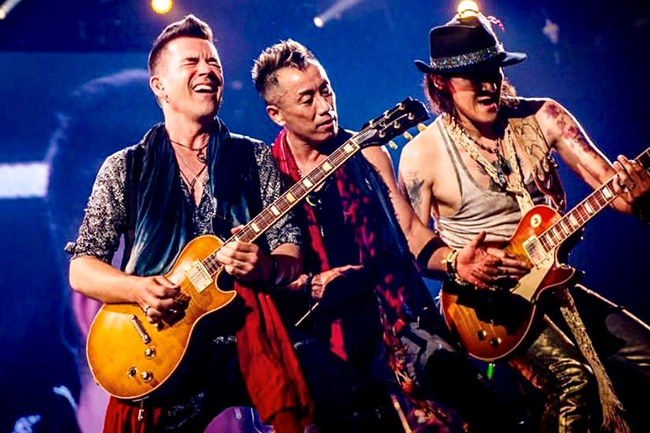 PT: Let’s start with guitars… On my current tour [with Tsuyoshi], it’s a PT Signature (Suhr), the blue one I got this year, a Macmull T with P90 pickups, and a Leo Scala Underdog LP style or Gibson R9 with Thornbuckers, when I need a Les Paul. I also have my ‘64 Strat out here which I just love. Acoustics are Takamines. When in the studio, I use these and also my Gil Yaron Les Paul-type guitars quite often, I love them! I don’t play them live that often lately as they have vintage PAF style, unpotted pickups, and this (Tsuyoshi Nagabuchi) is often a loud and high-gain rock gig, so they squeal a bit, but they record so beautifully, Gil is really a master. My old 335 is always a favorite, it’s a 1963. 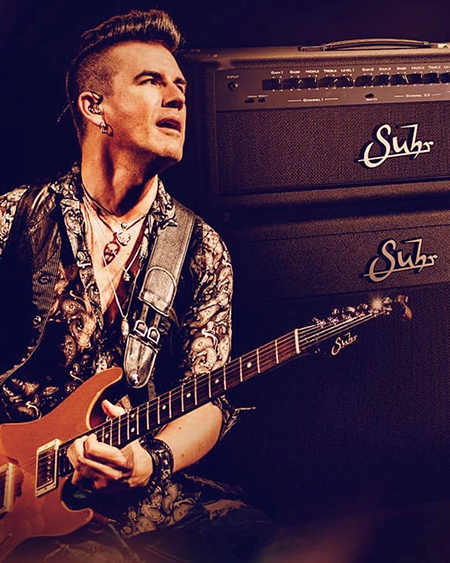 Amps: I mainly use the Suhr PT100, almost exclusively live, and that’s going on 10 years now. In the studio I use the PT as well as many others. Some favorites are a Suhr SL67, a 1966 Fender Bassman, a Divided By 13 RSA 31, and a Vox AC15HW. I recently got a 1971 Marshall 50w that smokes as well! MPc: If you had to pick one piece of gear you absolutely couldn’t live without, what would it be? PT: My PT100 is a huge part of my live rig, and super useful in the studio, for sure. 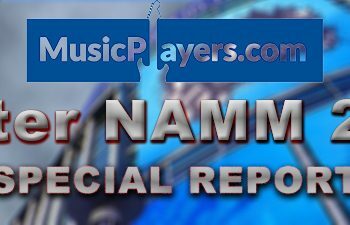 MPc: Your YouTube channel has emerged as one of the most popular guitar gear demo channels on the Internet. What was it that launched your gear demo journey? PT: It was totally by accident. I put together a little recording rig and just occasionally would film videos and put them up on YouTube, this is in, like, 2006. It was still new. It was just kind of fun, hobbyist, messing around stuff, even though I was playing professionally for around 10 years by that point. PT: Really I just try and let the gear and the sound it makes inspire a part or riff and take it from there. I have a few recording session templates set up in Logic (the DAW I use). I’ll call up a template, which makes it easy to get a drum groove going… I’ll arm a track and get a guitar tone, usually using the PT100 amp, a load box (either the Suhr Reactive Load or UA OX) and I’ll dial in a speaker simulator. Then I just play and turn the knobs on the gear until I arrive at something I like, both tonally and part-wise. I’ll refine it a bit and then turn on the camera and hit record when I’m ready to lay something down. I can usually hear where it’s going pretty quickly, so I’ll just layer a couple more parts with different tonal settings, filming the takes. And I’ll throw some bass down, play a solo, and mix! This usually takes anywhere from a few hours (for a simple pedal demo) to a couple days if the song is a fully produced affair like I might do for a digital modeling unit. MPc: We love your new solo record, Pete Thorn II. What is your approach for choosing the right gear to bring to the studio so your time is best spent making music vs. experimenting or even being overwhelmed by choice? How might this approach change when you’re recording with others vs. when you worked on your latest solo record? PT: Thanks! I’m so glad you like the album. I’m honestly superscattered and disorganized. I really just plug in whatever I feel like using that day and dial in a tone and GO! Stuff sounds so good these days, if you can’t get a tone within a few minutes, there must be something wrong. Occasionally, I’ll know exactly what I want to use. Like on “Kyushu Blues.” I had just scored a set of primo 1978 Blackback Celestion G12M speakers and had loaded them in my 1960B 4x12 cab. I thought, it’ll be perfect to use my old Strat and the Suhr SL68 through that cab for the blues rock ‘70s tones I was hearing in my head. I plugged that stuff in and mic’d it, and there it was. I needed a few pedals to set off the various sections with some different sounds, so I used the BAE Hot Fuzz and Rockett Archer for some extra drive and fuzz. I used my white Suhr Classic S for some of the solos as well. If I’m going to track drums for a song somewhere, like at my pal Curt Bisquera’s place, I might take my Kemper, Helix, or AX8 for something like that, just so it’s easy. And on “Dirty Town,” it’s actually the PT100 amp, loaded down with the Suhr Load, and the Line 6 Helix for effects and speaker simulation via an impulse response block. If I’m going to do a session for someone else’s music somewhere, it really depends. If it’s a big record date, I’ll probably bring a few amps and cabs and my full pedalboard and at least four or five guitars. Or if it’s ok to keep it simple, it might be the Kemper or Helix or something. Or once again, amp, load box, and a few pedals. It really depends. MPc: Tell us more about your experience with virtual products vs. your use of real tube amps. PT: Yes! [laughs] I’ve used load boxes and IR’s with real amps live on big tours. I call that “modeling the back end.” It actually works great: real amps with IR’s for speaker sim in the PA sound killer, because you’re not just throwing a SM57 on a cab in approximately a good position on a speaker, where other instruments bleed into the mic. You’re getting a perfectly mic’d primo speaker cab sound, repeatable every day, night after night. It’s punchy and clear as can be, and nearly always wins out in a direct a/b against a live mic’d cab. Think about it, IR made on an ideal speaker in a great studio, with the exact killer mics and preamps you like, or SM57 run into the front-of-house desk, that has bleed from the bass and drums in it. And I still use cabs onstage usually by the way, even when using IR’s in the PA. They just aren’t miked. I’m using them for my monitoring purposes only. I’m not afraid to go the modeler route, even on high profile stuff. I’ve used the Kemper on a Danny Elfman session, for instance. It really just depends. I used a UAD amp plug-in (the Friedman/Brainworx BE100) on the main rhythm guitar part on “L’Avenir” from my new album. I tried it when I was tracking the drums and it sounded so good, I just ended up using it for the final part. That said, I love my tube amps and cabs and I use them whenever possible, because there’s still just something so great about moving air with high voltage and tubes. It’s the most organic thing you can do tonally, and it just satisfies me. Bottom line, I like to use it all, and what I use will be different depending on the situation. MPc: How do you typically mic your amps in the studio? What is your recording signal chain, from mic to preamp to audio interface? PT: I have some BAE 1073 style pre’s as well as APIs, and a Meris and DBX… lately I’m usually using the two Neve 1073-style BAE preamps with a SM57 and a ribbon mic blended, sometimes with a little room mic blended in, too. I close mic on either side of the cone of the speaker, or sometimes I put the ribbon dead center. Usually half- or one-inch back. I check both mics for phase and blend to taste, usually favoring the 57, and filling in the sound with the ribbon, which is a SE VR1, a Beyer M160, or a Sterling Audio ST170. MPc: Do you prefer traditional miking, cabinet simulation with Impulse Responses, or a mix of both? PT: I like it all. Moving air is fun and I still love it but IR’s is so quick and easy though and sounds great for many things, and it doesn’t require mic placement or loud volume, so I do it a lot! For the last five years or so. I think I was an early adopter for sure and hopefully have been able to spread the word about it a bit. Once again, you have to weigh many things. If I’m engineering andplaying, I don’t necessarily want to deal with running back and forth to the live room to adjust mics, and I don’t always want to deal with volume, so IR’s are a great time saver and can sound great. In some ways, my first studios, where I used a little Bogner 1x12 mic’d in a closet, were easier than what I have now, because with space and more gear comes options. Less options and having just one cab mic’d well, in a closet, is a quick easy way to get good tones. Almost all of Guitar Nerd, my 1st album, was recorded that way- that little 1-12” mic’d and buried under some soft absorptive stuff in a coat closet. MPc: So, let’s jump from the coat closet to the arena. How do you prepare for a tour with an artist you’ve never previously toured with? How might you choose the right guitars and other gear? PT: You want to kind of “read the room.” From the clothes you show up in to the guitars you pick. Some gigs just call for more classic gear, others, more modern. You need the right tools for the job, basically. And obviously you want to balance what you’d like to use with what’s realistic. When traveling overseas it’s always good to consider you might need to use a smaller or “fly” rig. If the gig seems right for it, you might consider using a modeling rig for fly dates and overseas stuff. They’ll appreciate the money you save them on cartage and/or amp rentals. MPc: I imagine on most of your tours you have a tech. Do you have any say in who gets the job? What is your relationship like with the techs on tour? PT: Sometimes. But lately, I’ve just tried to be more and more ok with “whatever.” The more self-sufficient I can be, the better. That said, my tech in Japan, Sho, is soamazing and I’ve grown to rely on him in particular quite a bit. He thinks of everything! He’s intuitive and very bright. And so, so, so funny, he keeps me laughing always. MPc: As a composer yourself, do you ever feel creatively challenged while on the road playing someone else’s catalog night after night? Is there anything you do on tour to flex your individual creative muscle? PT: It’s all about balance. Like right now, I’m enjoying not writing (laughs)! After just finishing an album, and doing tons of video demos that all have little songs in them, it’s nice to just go out and play, for people. I’m kind of enjoying a little break from making videos for YouTube as well. Too much of it and you get “creator burnout.” But I’ll be back at it soon. Balance is good! MPc: And when you just go out to play, for people, have you ever experienced performance anxiety? What have you done to overcome it? PT: Totally! I wrote a whole Premier Guitar article about it, actually. But a few things you can do: remember, the crowd has your back. They are there to have fun; not to criticize you. If you’re nervous, focus on one person in the crowd that looks like they are having fun. Also, think of a performer that strikes you as fearless, and just try and pretend you are them, in the moment. My go-to is Jack White, because I think he’s just a really ballsy, take-no-prisoners kind of presence onstage. MPc: I imagine it would be hard for you to choose a favorite tour you’ve been on. But are you able to choose one artist you feel helped you grow the most as a musician? PT: I’ve learned so much from all of them. Chris Cornell, I could have carried on playing music with him forever. I just loved the guy and his music. Don Henley, he makes you rise to another level. Melissa Etheridge, she is world class and you also just feel an urge to rise to the occasion and up your game. And Tsuyoshi, even just last night onstage in Sendai, I was looking at him and was just so inspired by his mastery of the stage, and his incredible magnetism and energy. He looks and performs like a super-fit 35 year old, not like he’s 62. MPc: Can you choose a favorite tour stop? PT: I truly love touring in Japan. It’s my home away from home. I could live there. I really love the time I’ve spent in France as well. Such a beautiful country. I think I’d be happy living there as well. I’d go anywhere to play, I still haven’t been to India, Indonesia, South Korea… many places to go visit where guitar culture is thriving. MPc: Do you have a single most-memorable touring moment? PT: Impossible to pick one. Hyde Park, June 24, 2007 with Chris Cornell, opening for Aerosmith, comes to mind. Brian May watching from the side of the stage, and Chris had the whole crowd sing me happy birthday. Fuji 2015 with Tsuyoshi, the All Night Live show. Michel Polnareff at a festival in France, the day after the terror attack in Nice, and 60,000 people still came out to the show and stood in solidarity. MPc: Perhaps the opposite of my previous question, do you have a most embarrassing or most awkward on-stage moment? How did you recover from it? PT: Hmm, when I was 14, playing my junior high, and I stepped up to play my big solo in a song, and the cord pulled out of the amp! I learned to wrap the cord through the amp handle that day [laughs]. MPc: Well, so long as we’re going back to your teens, can we talk about your beginnings? Your first instrument as a child was actually violin. You picked up a guitar not long after. What made you make that change? MPc: I can imagine the guitar being quite irresistible if those were the artists you were looking toward. Who might you also name as some as your early musical influences? How have those influences evolved through the years? PT: Well, as I mentioned, Pete Townsend, Eddie, and Stevie. And my sister got me into bands like Thin Lizzy, Ozzy/Sabbath, the heavier stuff. I listen to almost everything now. In the early ‘90s I got really into other stuff, like singer songwriters such as K.D. Lang, Neil Young, etc. I realized that they were almost all Canadian and I had no clue what they were about [laughs]! But I just sort of gravitated towards that for a minute. I also embraced and enjoyed the stuff coming out of Seattle: Soundgarden, Alice In Chains, Nirvana, etc. Then later, around 2005-2010, I went through a phase listening to electronic music, and “chill-out stuff” like Morcheeba, Zero 7, Massive Attack, and more. I think maybe my ears need a break from guitar and midrange and distortion sometimes! But I always come back to the rock. MPc: And ultimately attending Los Angeles’ famed Musician’s Institute. How important do you think it is for an aspiring musician to attend such a school? PT: It can be a great experience, it was for me. It’s not 100% necessary of course but thinking about music and dedicating a year or two or three to just learning and playing, how can that be bad? In order to go, you have to set yourself up financially, and kind of drop everything else, and if you apply yourself you can progress leaps and bounds. You can also just sort of phone it in and probably do the bare minimum and still pass the tests at a school like MI, and not really come out much better than when you started. It’s about really going for it and applying yourself! Some of the coolest stuff I learned at MI was in the open counseling, where you sit around informally and just talk and jam with a teacher and a few other students. I picked up some golden tips under those circumstances. MPc: And the student becomes the teacher. In your experience as a guitar teacher, what kind of common missteps have you discovered among developing players? Particularly as it relates to that unending quest for tone. PT: I often find learning players focus too heavily on gear and not enough on just playing really well. Suhr has a saying, “practice cures most tone issues.” Also, playing with time. It’s so important to practice with drums of some sort or at the least, a metronome. MPc: How critical is learning to read music in the grand scheme of things? How important has this skill been in your musical career? PT: I should be better at it! I like to memorize everything. I don’t like reading; even chord charts. But I retain arrangements quickly. Play me an arrangement a few times and I’ve got it, and I see guys that read well, and they rely on those charts, and they don’t want to stop reading, even after rehearsing a song for days, weeks even. I think it’s great to be able to read but if it’s rock-n-roll, you should internalize the song. Rock music and reading on the gig don’t really go hand in hand in my honest opinion. That said, I obviously can’t walk in and do a film score studio gig. You have to be a great reader. I’ve definitely limited myself by being a hack reader. It’s a valuable skill! MPc: And what about composition? Your albums prove your composition fortitude, but you’ve had some interesting partnerships as well, such as the one with legendary pop songwriter Linda Perry. How did that come about? PT: Courtney Love introduced me to Linda, in 2006. I’d been writing and recording demos with Courtney and she took me in to a meeting with Linda and said “I want this guy to work on my record. He’s a hard worker and I believe in him.” So Linda said OK, if you say so! It meant so much to me at the time that Courtney did that. Courtney’s a difficult person in many ways, and maybe that’s an understatement. But I’ll always remember her having my back and really being the person that helped me, believed in me, during a time that I was depressed and had low self-esteem. And I ended up working on many projects with Linda. MPc: So, these past few aspects of your career are just a few bullet points on an incredibly robust resume. As a “working guitarist,” how do you ensure you continue to stay relevant? PT: The key to staying relevant is to keep creating. And keep playing and learning, keep moving forward and putting yourself out there. Also, I think it’s important to be “you,” but to not get boxed into one sound or one style. The artist that did this better than anyone else in history has got to be Bowie. Right up until the day he died, his life and art was a relevant work in progress. MPc: Bowie. I must agree. If you weren’t a “working guitarist,” what would you be doing for a living? PT: Doctor. Maybe. But I think so. Probably. MPc: What are you up to now that Pete Thorn II has been released? What’s coming up later in 2018? PT: I’m just finishing a Japan tour with Tsuyoshi Nagabuchi. When I get home, I’ll finish up some other recording projects, maybe make some changes with my studio situation. So that’ll take a minute. I have a European clinic tour in September, so that’s exciting. My clinic I’ve developed is called “Recording And Production For The Modern Guitarist.” Then back home for a couple weeks, and then back to Europe for the Guitcon Guitar YouTuber event in Germany in October. It’s shaping up to a busy Fall. 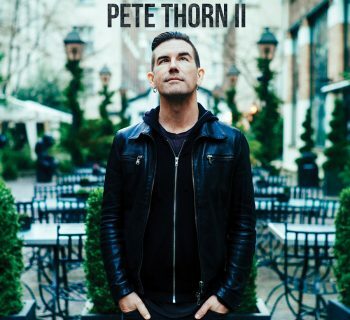 Pete’s sophomore album, Pete Thorn II, is available for purchase on Amazon, iTunes, and CDBaby and available for streaming on Apple Music, Spotify and YouTube Music. 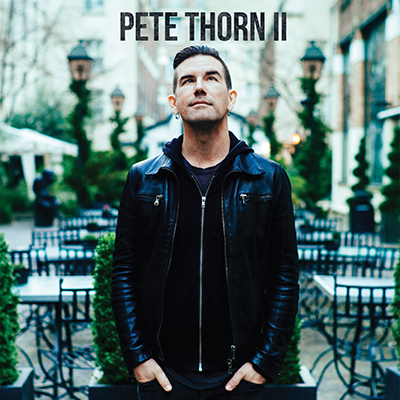 Plus, visit www.petethorn.com for more information about Pete and his gear, Gear Demo details, and his Recording And Production For The Modern Guitarist upcoming clinic tour dates. Jennifer L. Pricci, Contributing Editor, is a widely read writer and blogger for a number of popular music arts publications and websites. A marketing professional with 20 years of brand and agency experience, she’s the owner and principal of PHANTOM POWER Marketing, a fully integrated marketing firm serving the needs of musicians as well as small and mid-sized businesses. She’s also a musician and singer with years of performance experience, and a self-professed gear junkie.